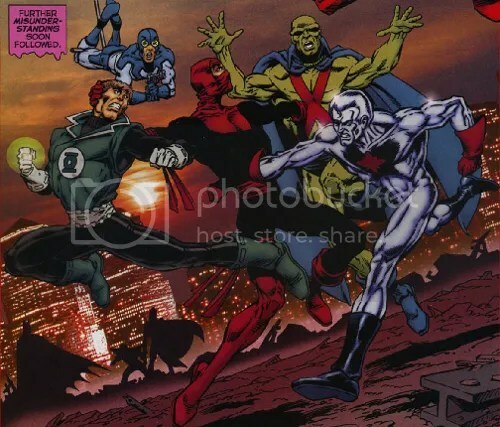 In the story “Death in a Darkroom,” a photographer is shooting a parade. 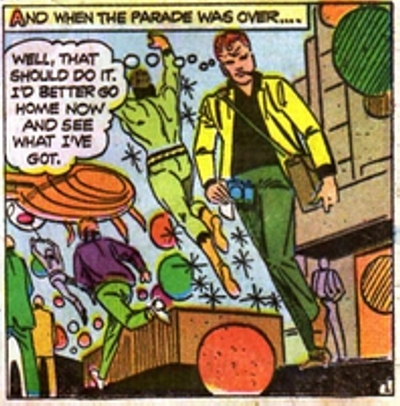 Captain Atom is in the parade (we see his back as he flies away). 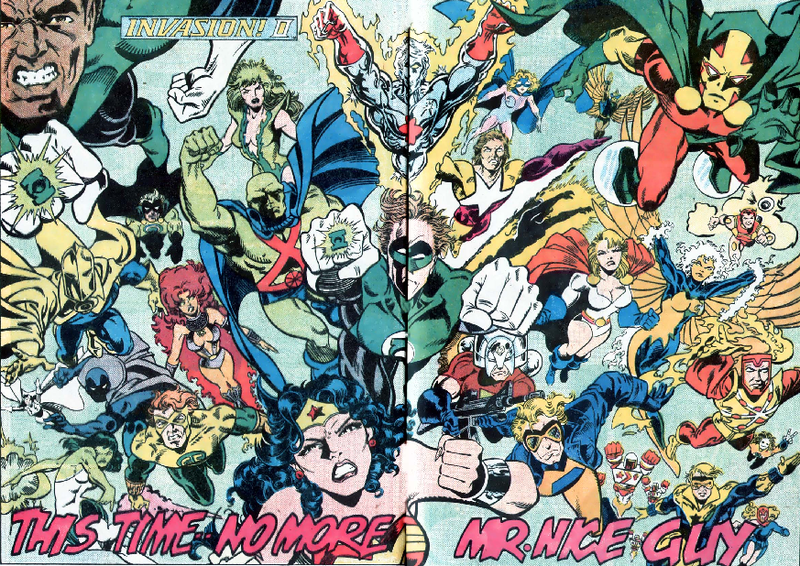 This is a Crisis on Infinite Earths crossover. 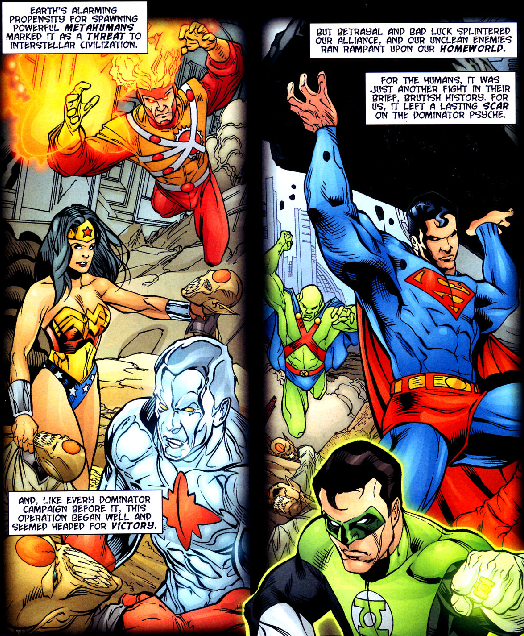 In one panel we see Captain Atom fighting alongside Firestorm and Nightwing. 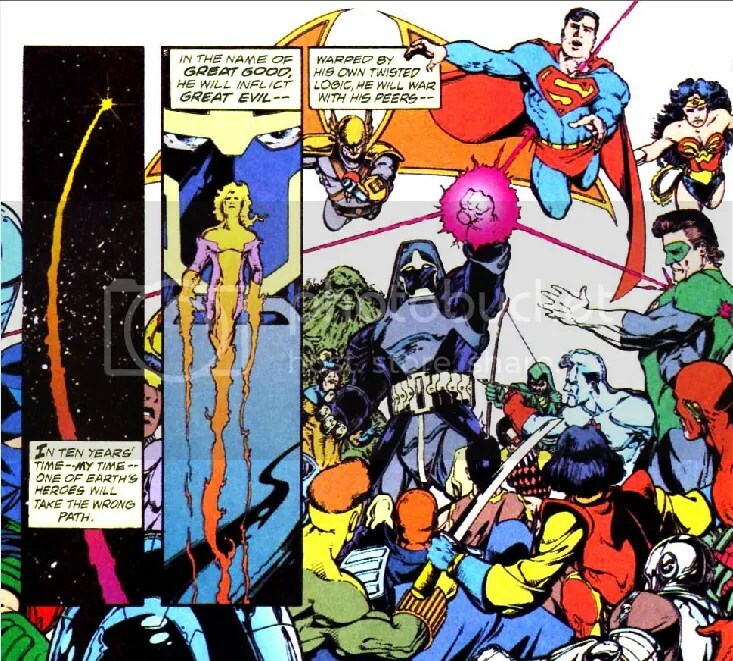 This came out post-Crisis on Infinite Earths but prior to DC’s Captain Atom series. 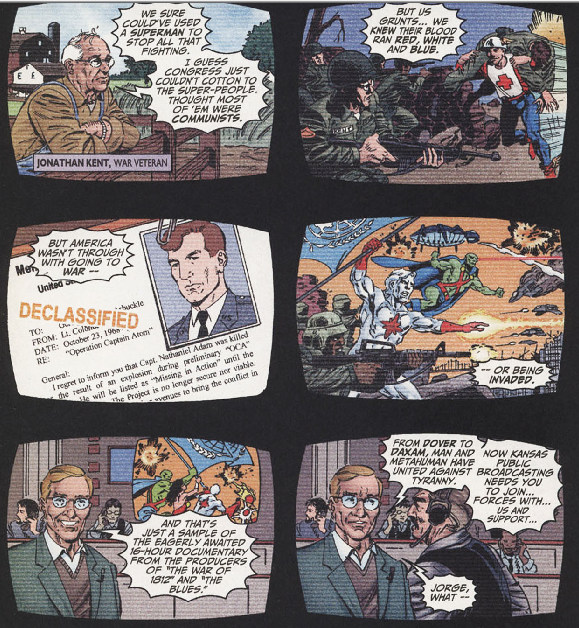 Although it features the silver age costume, the brief bio is that of the modern age Cap. 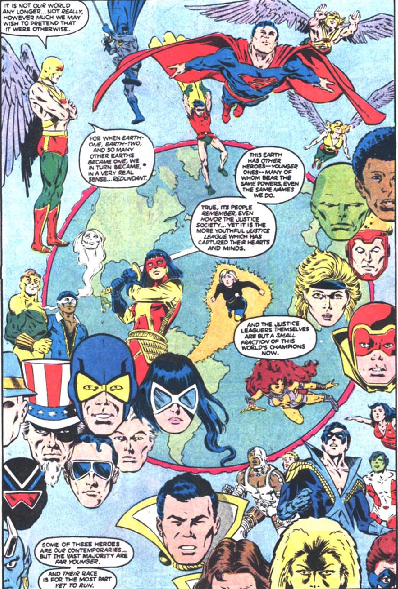 Captain Atom’s head appears on a splash page referencing Crisis on Infinite Earths along with Nightshade, The Question, and Blue Beetle (other Charlton characters). 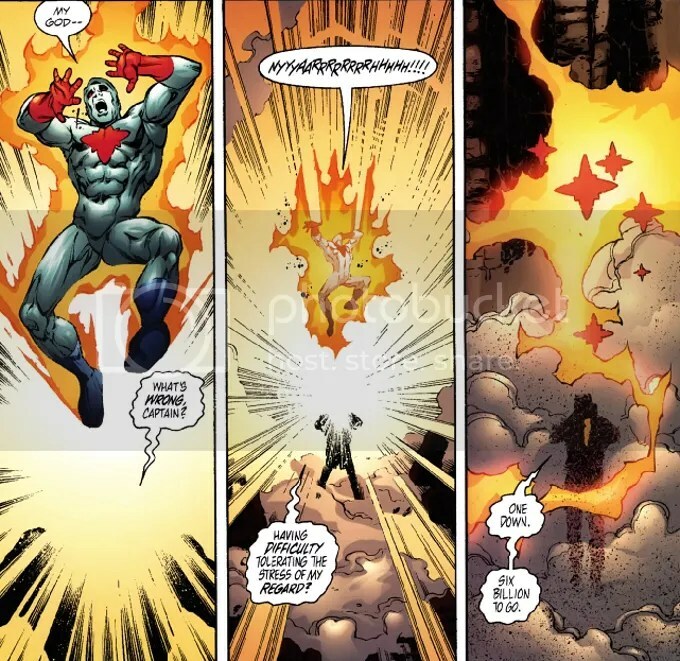 In the previous issue of Firestorm, Captain Atom and Firestorm had a slugfest in New York City. 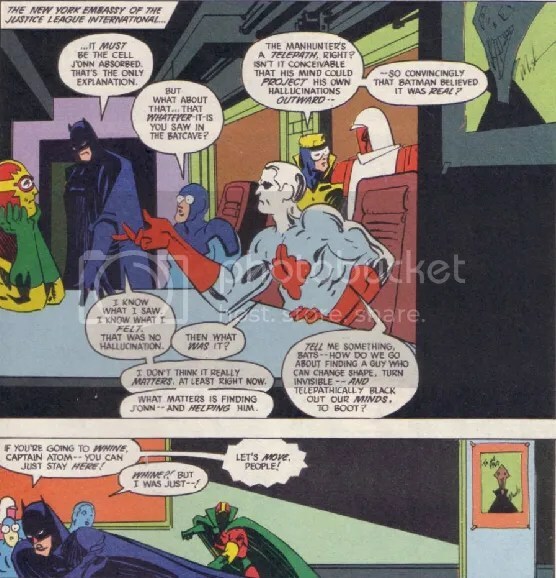 Captain Atom appears briefly on the first page of this issue. 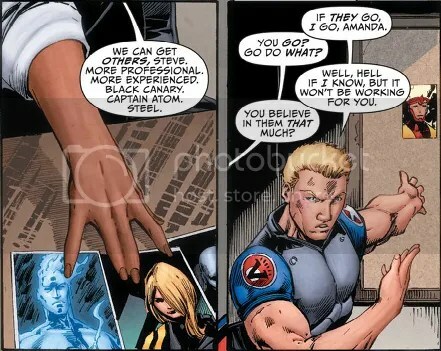 Captain Atom appears on a computer monitor in two panels and then on the last page when the new team is revealed. 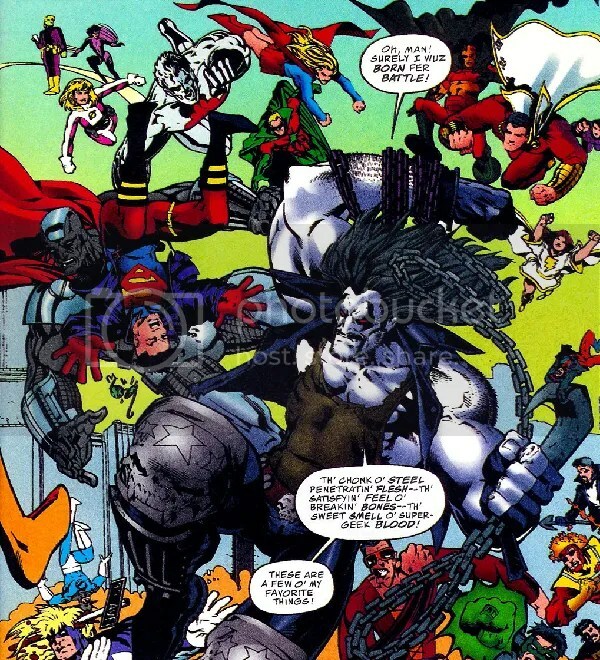 Captain Atom appears in these Millennium crossovers. 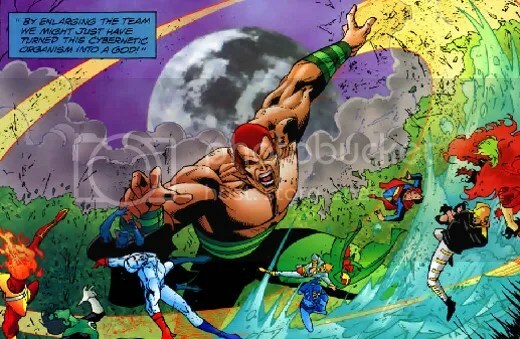 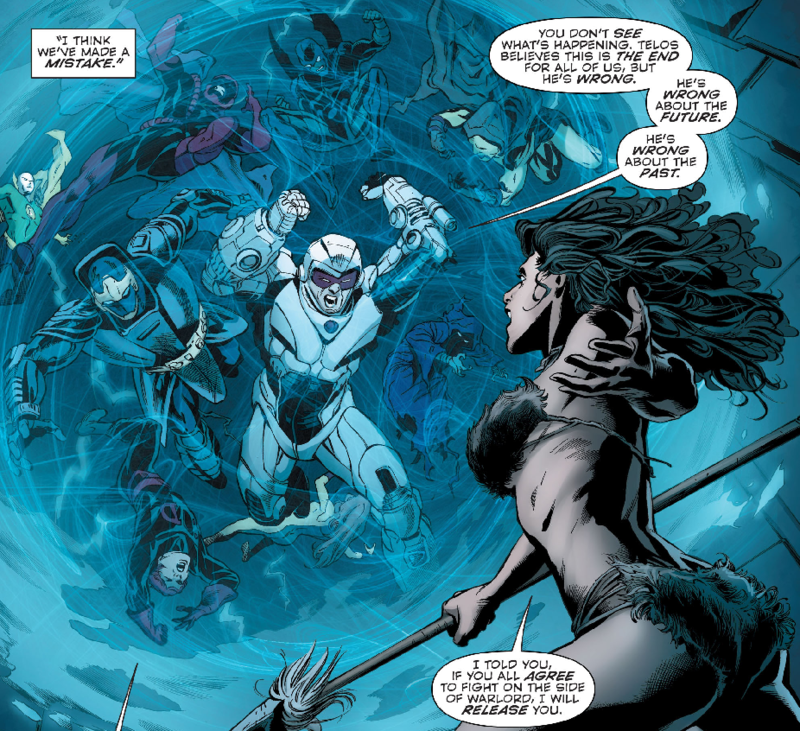 He’s in the background in a panel in Teen Titans Spotlight #18 while Aquaman and Aqualad are discussing the events of Millennium #1, as well as in the background in one panel of Action Comics #596. 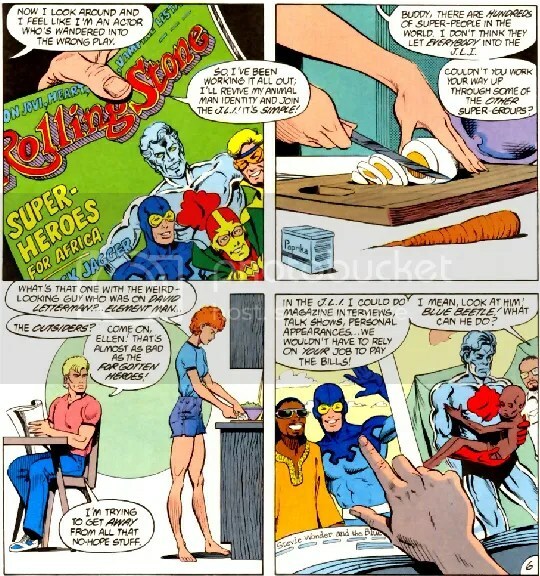 He has a slightly meatier role in Blue Beetle #20, but it is still just one page. 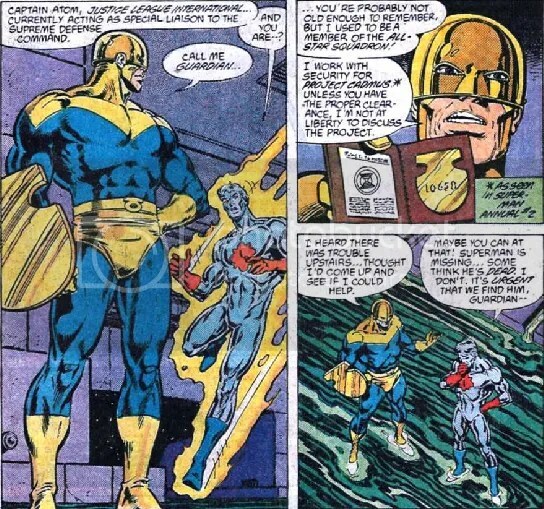 In Secret Origins #22 (Origin of the Manhunters), Cap gets one panel. 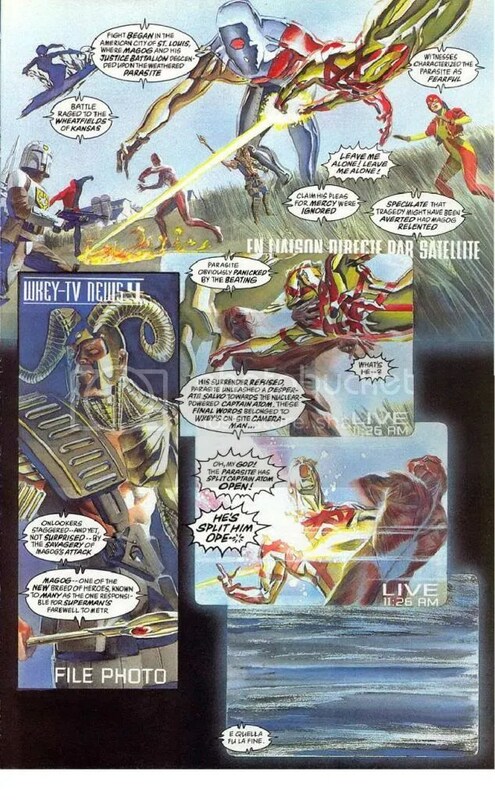 More Millennium tie-ins. 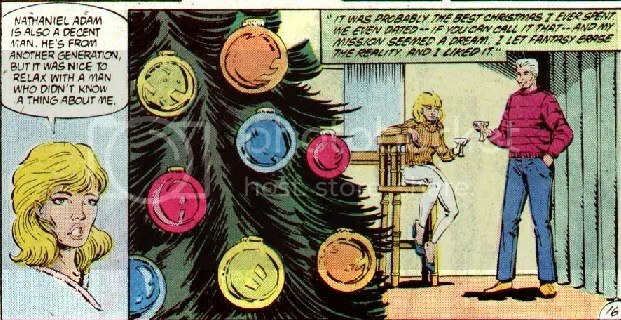 He certainly got around back then. 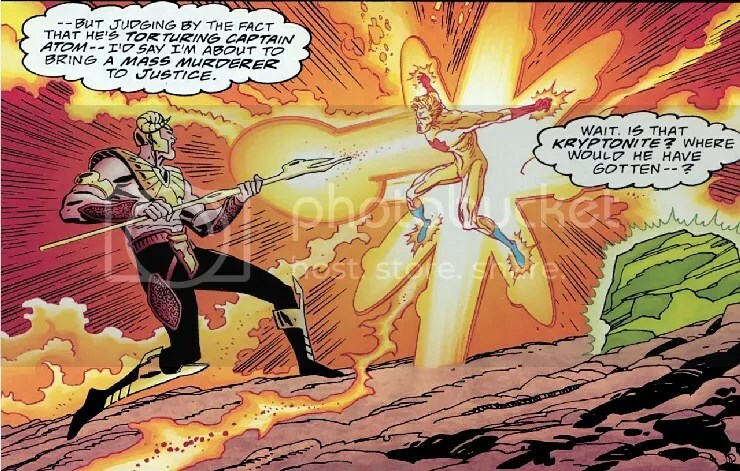 He’s featured here with Firestorm in both panels. 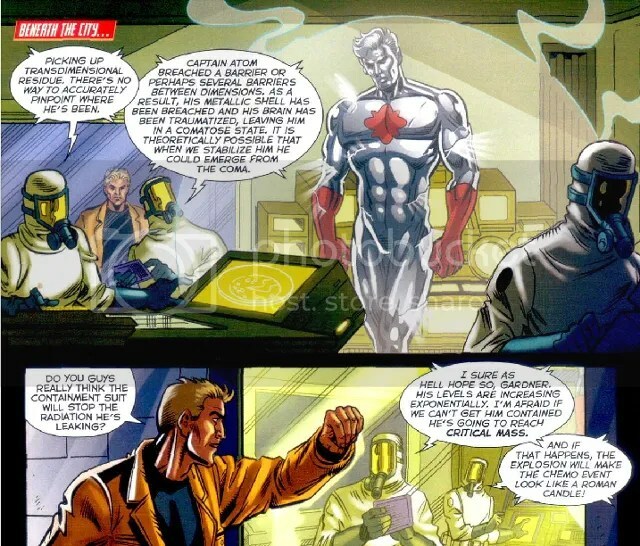 Captain Atom shows up on the first page in another Millennium tie-in. 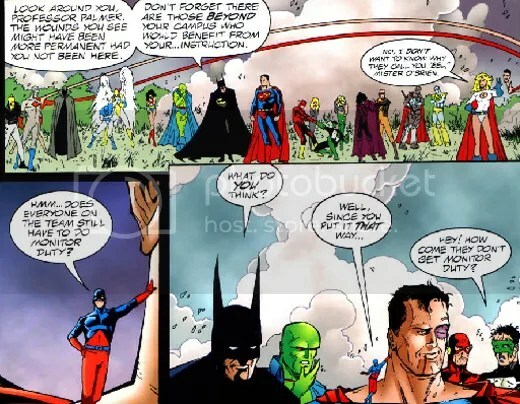 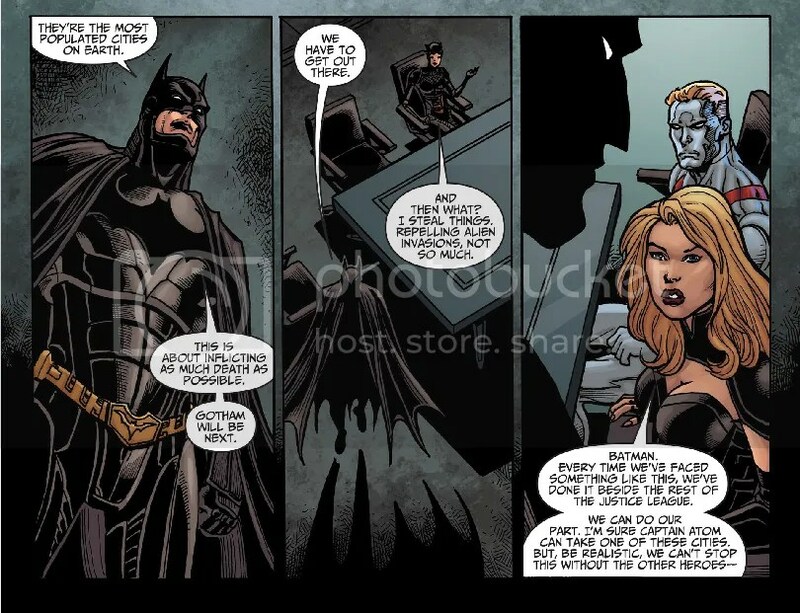 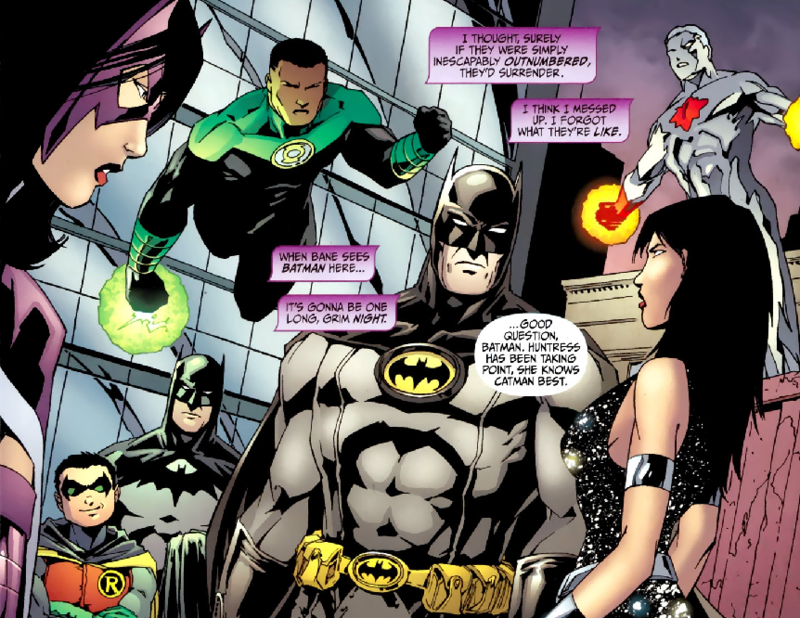 Although it isn’t a direct tie-in to Millennium, there is a brief scene where the Justice League is discussing the events of the crossover. 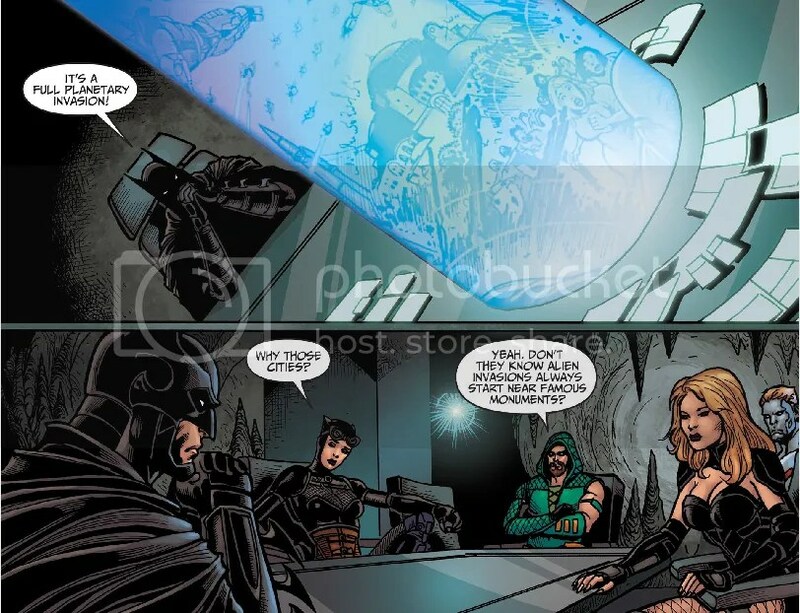 Cap is just sitting there with nothing to say. 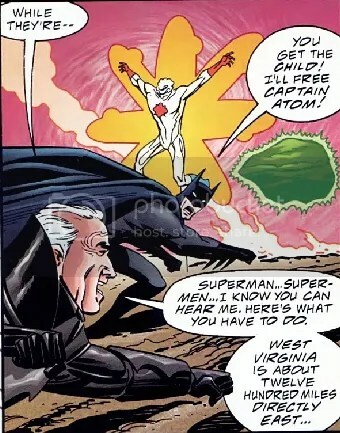 What is Batman’s problem with Captain Atom? 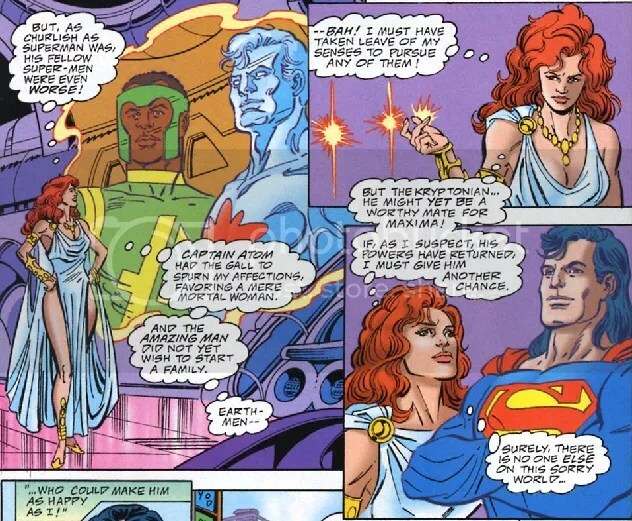 Captain Atom turns up in Nightshade’s origin story. 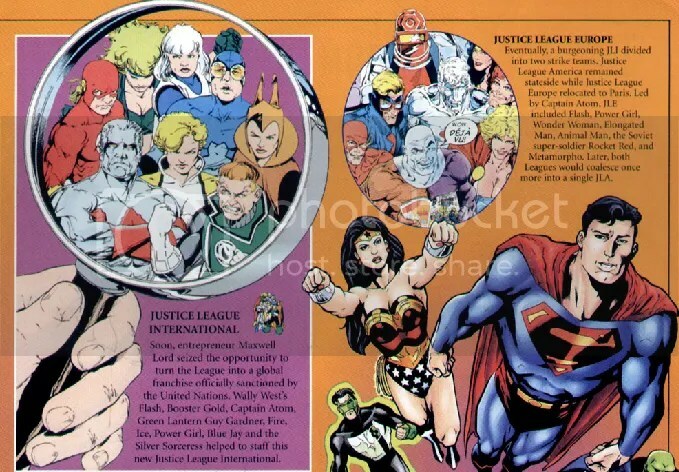 Captain Atom appears in a Rolling Stone article about Justice League International that Buddy (Animal Man) is reading. 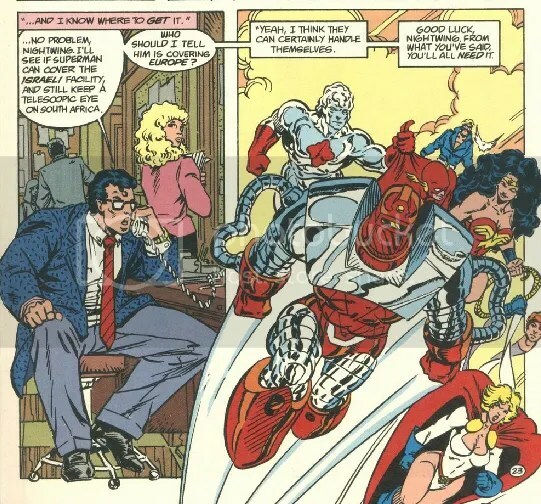 Lex Luthor, Pete Ross, and Supergirl from an alternate dimension mention the other super-heroes of Earth and the Bronze Age Captain Atom appears. 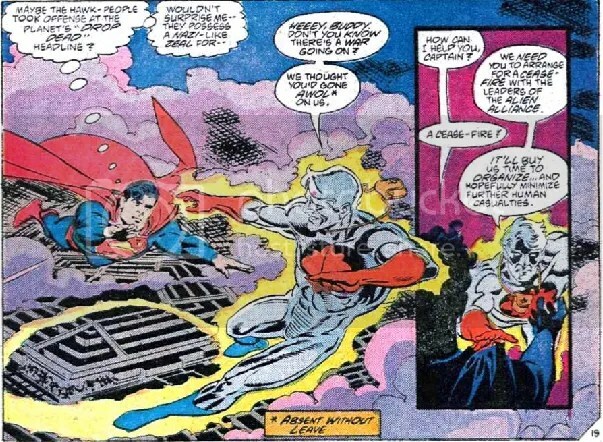 Captain Atom is in Metropolis looking for Superman and bumps into the Guardian in this Invasion! 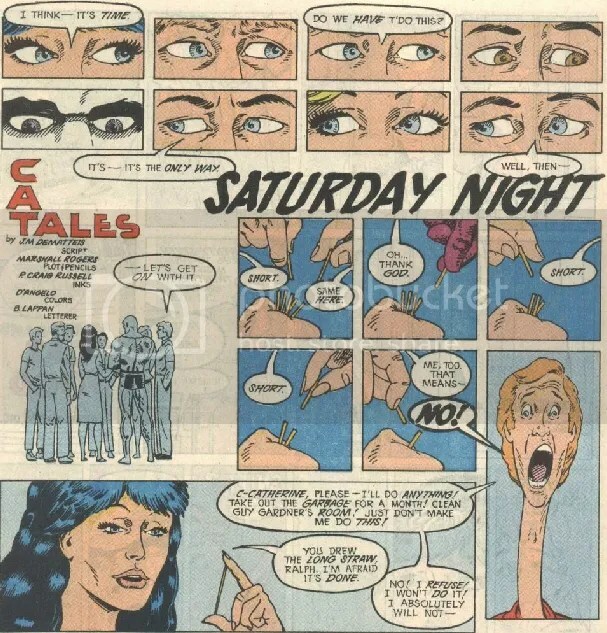 tie-in. 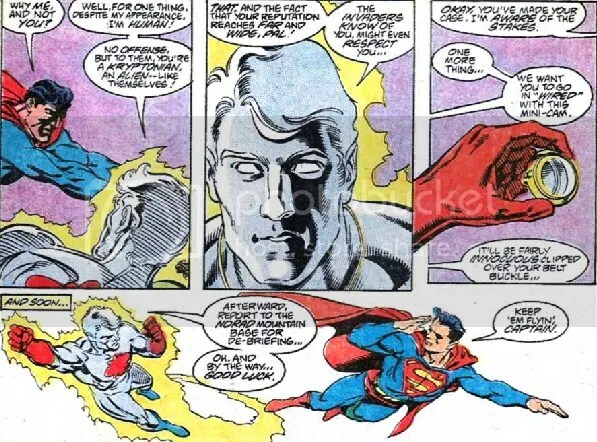 Captain Atom enlists the help of Superman in this Invasion! 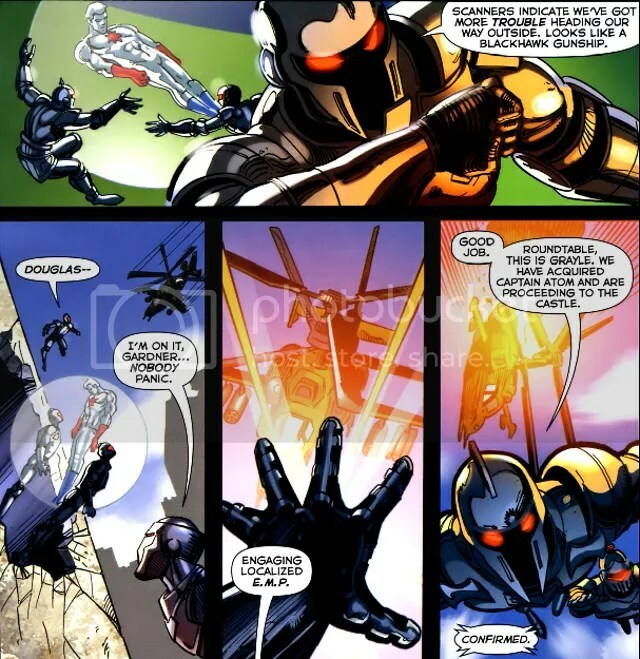 tie-in. 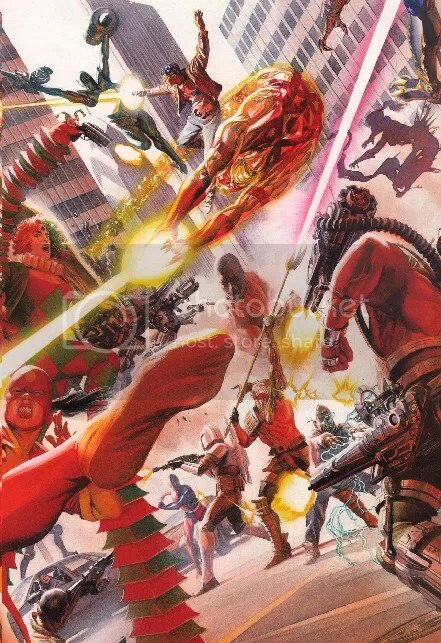 I couldn’t find or make a clean scan of Cap for this image. 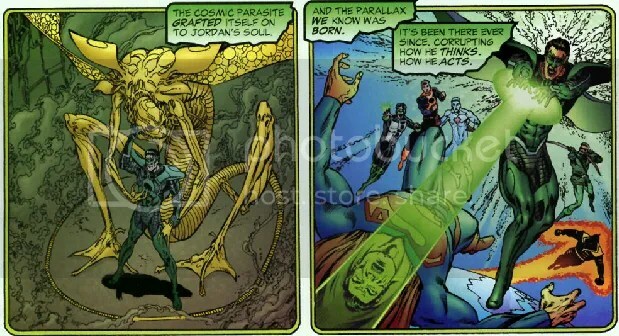 He appears right on the fold. 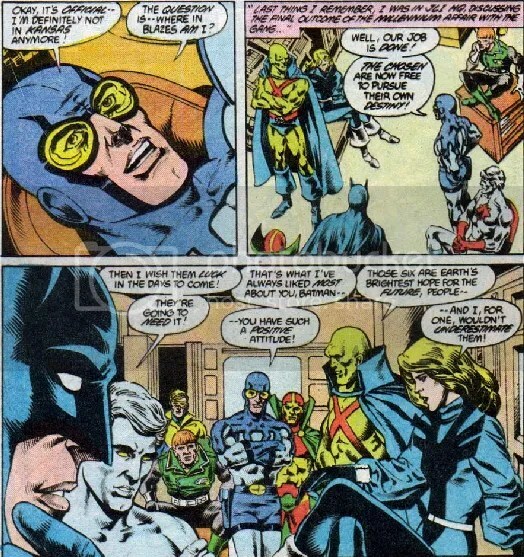 During a phone conversation between Nightwing and Clark Kent, we see Captain Atom and the JLE. 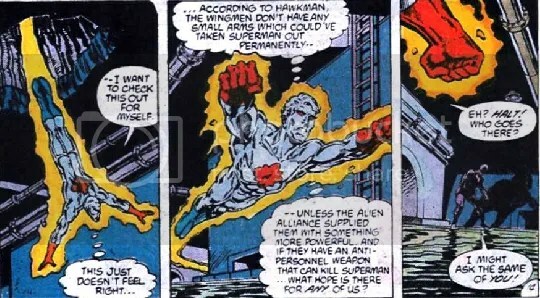 Hawk is describing his role in Invasion! 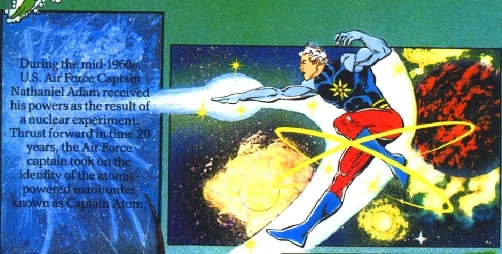 and Captain Atom is featured. 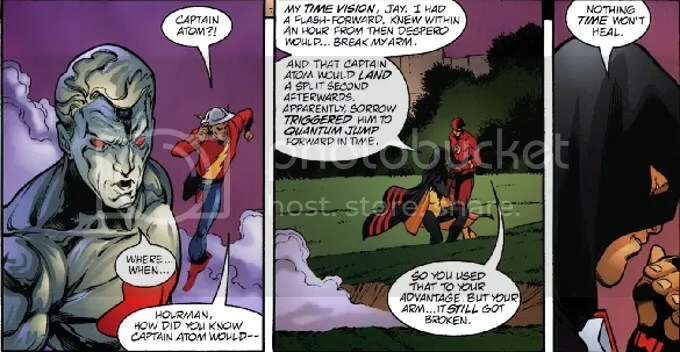 Captain Atom shows up in Wally West’s dream. 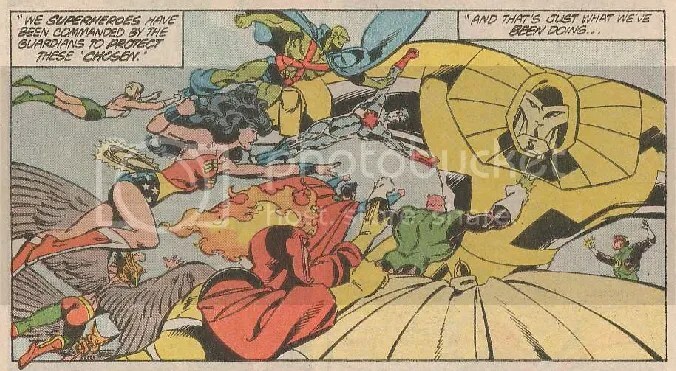 In a storyline involving the Elementals (Firestorm, Swamp Thing, Naiad, Red Tornado, etc. 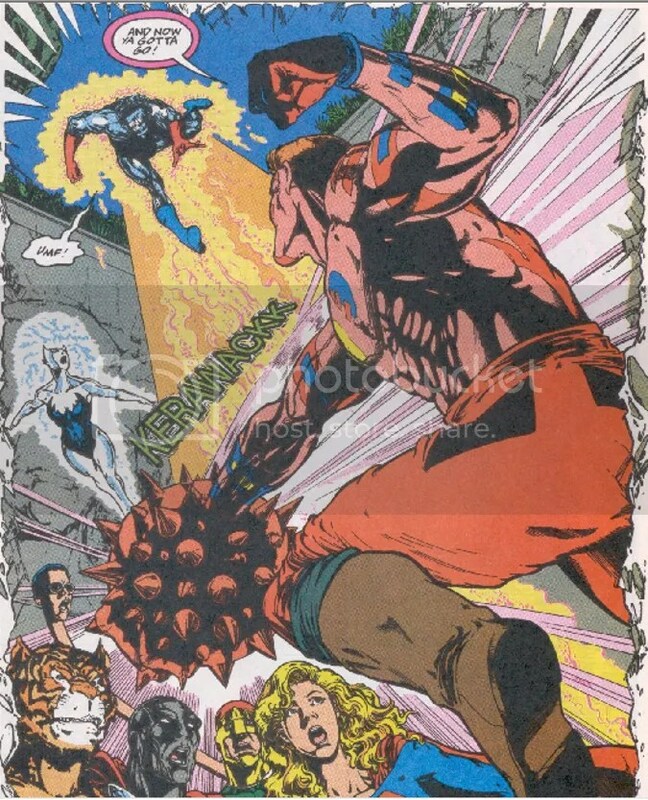 ), Captain Atom gets a whole page. 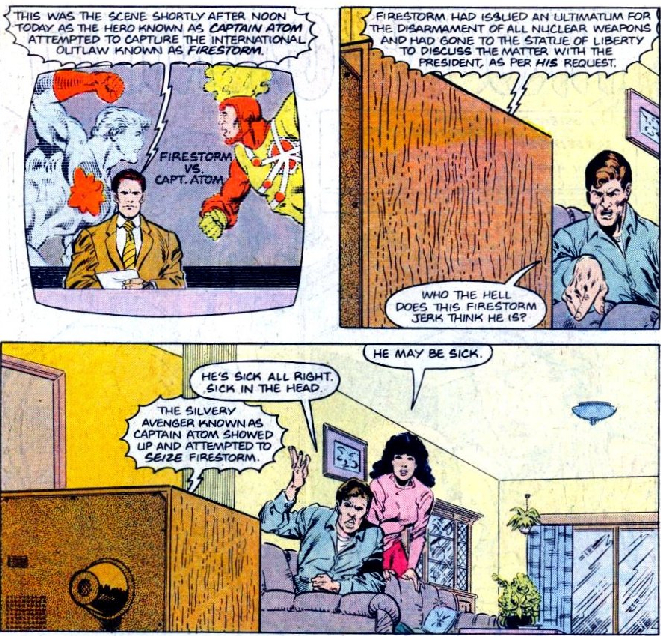 Justice League Europe and Captain Atom are watching the Flash and Superman race on one of their monitors. 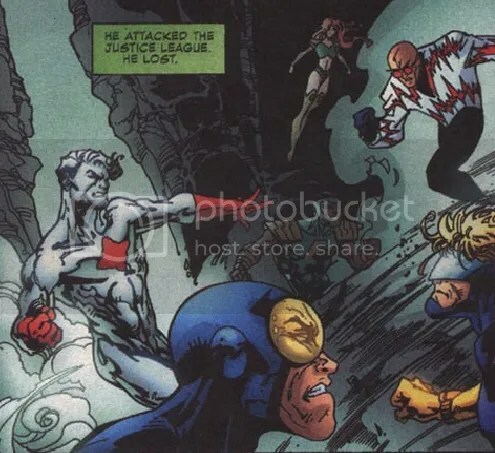 Cap shows up in this Armageddon 2001 crossover. 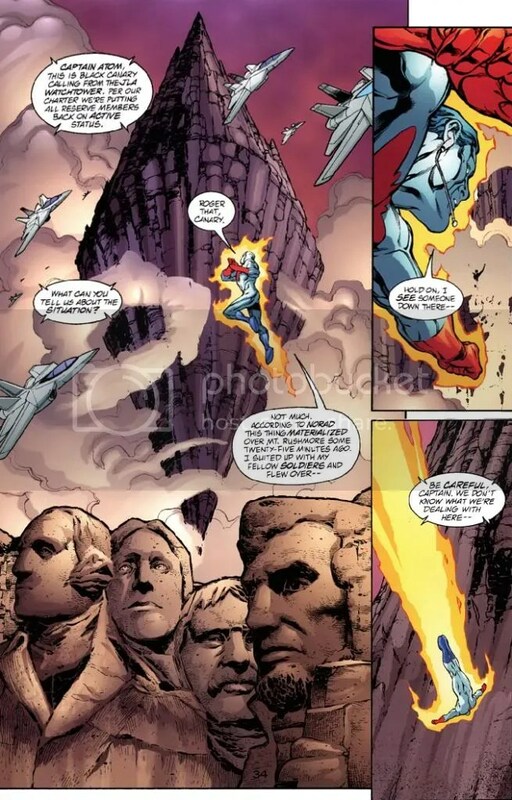 Cap appears in a panel referencing Armageddon 2001. 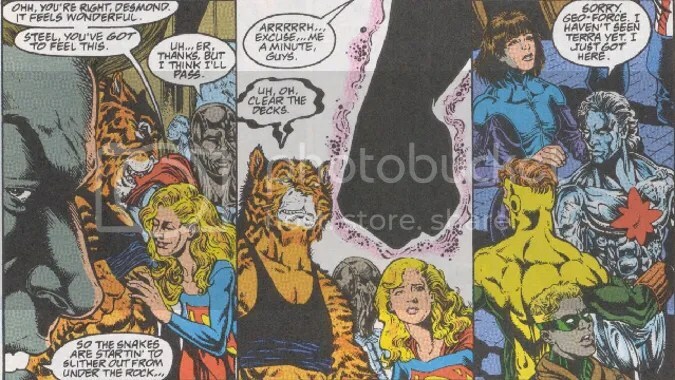 The JLE draws straws to see who will bathe Power Girl’s cat. 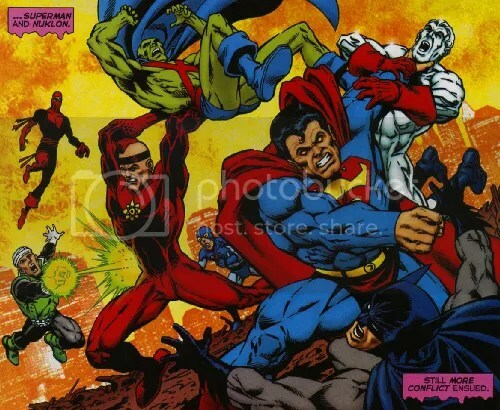 Presumably one of these men is Nathaniel Adam but it isn’t clear whom. 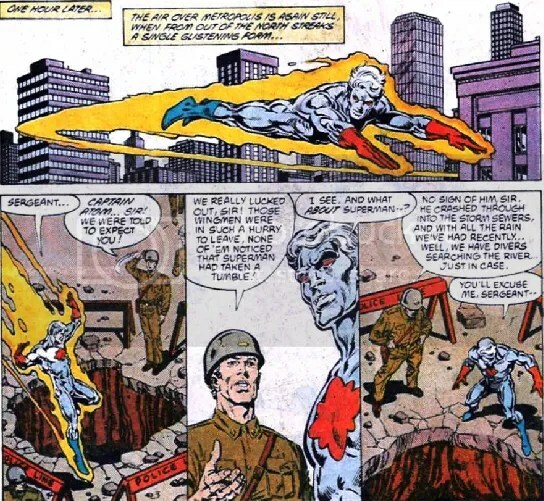 The Modern Age Captain Atom appears in these scenes that flashback to Crisis on Infinite Earths, but it should be the Bronze Age Captain Atom. 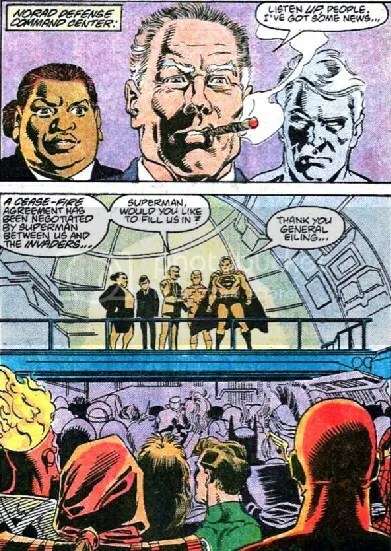 Cap shows up for the opening of Warriors and Guy lets him know he isn’t welcome. 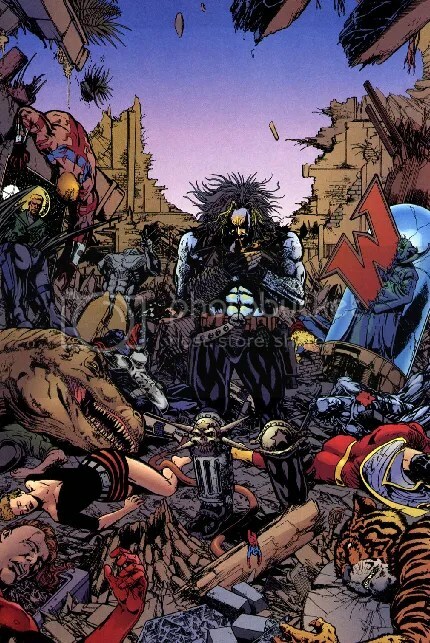 Lobo made a mess of Guy Gardner’s bar. 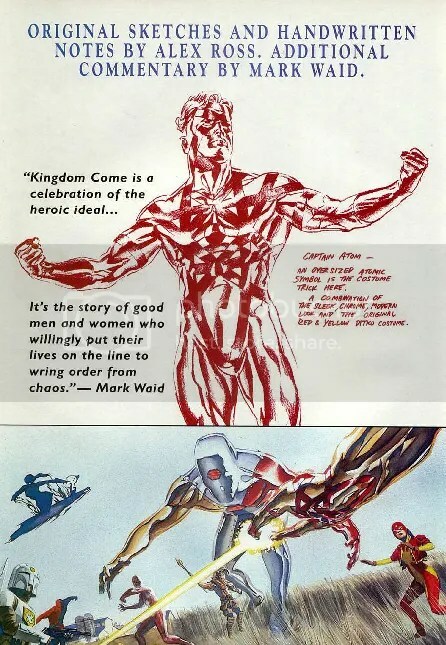 Released prior to Kingdom Come, this preview includes concept art for the Earth-22 Captain Atom. 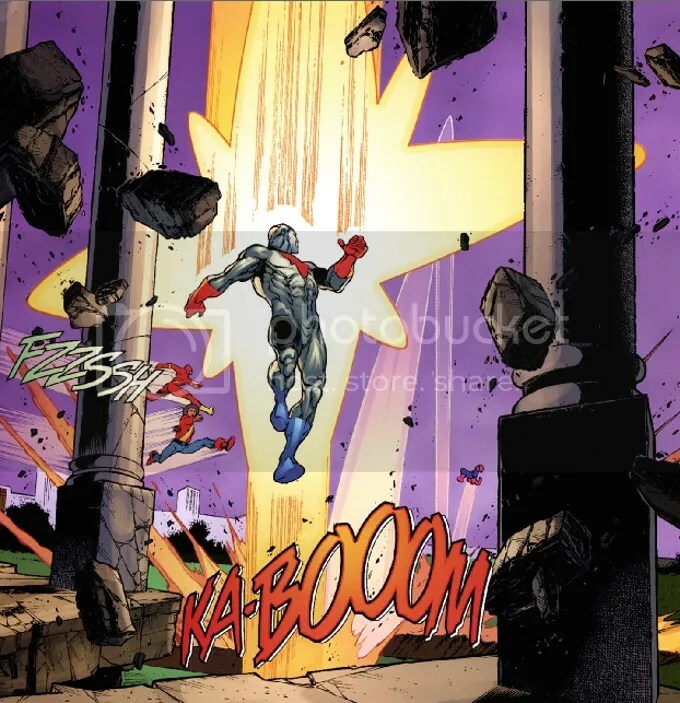 The Parasite ripping open Captain Atom ends up laying waste to Kansas. 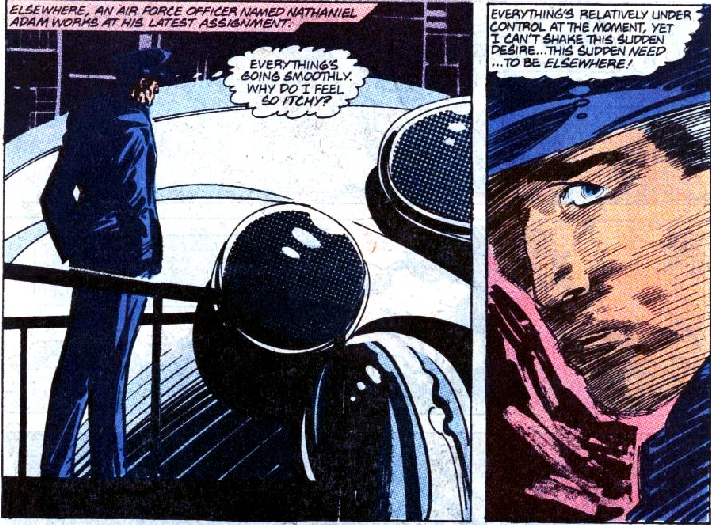 This comic features a beautiful pin-up of Cap by Marc Campos. 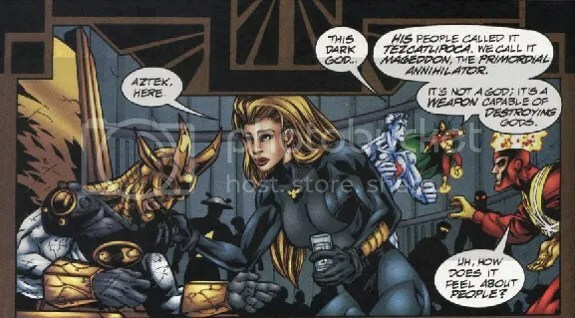 Maxima recalls her past failures with men. 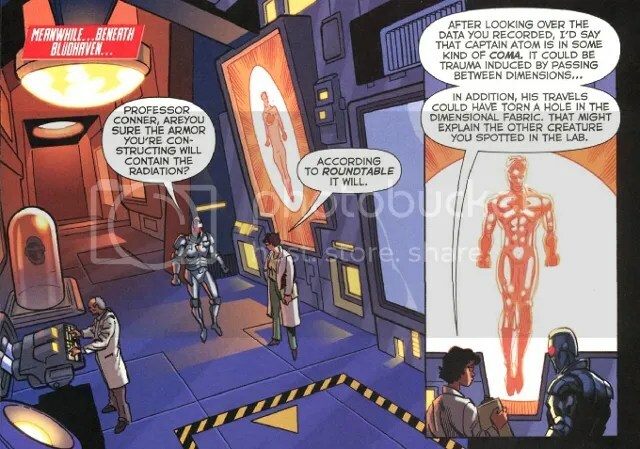 Captain Atom in a panel referencing Zero Hour. 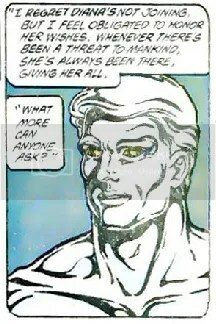 Featured here in a “talking head” cameo, Captain Atom is also on the cover. 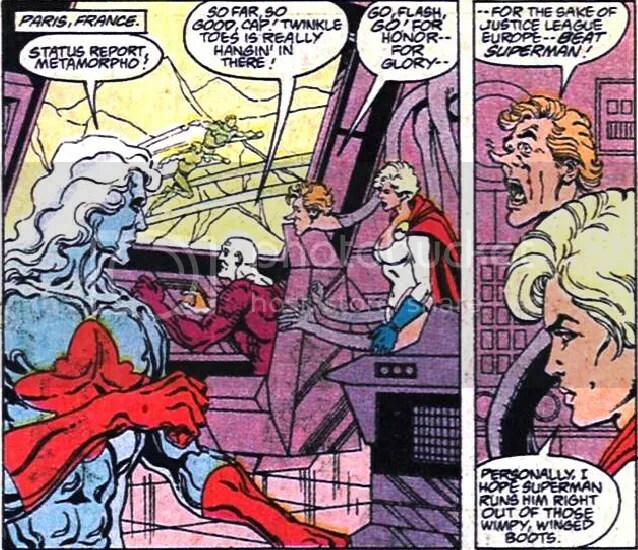 Captain Atom is being tortured by Magog, who also has Clark and Diana’s baby. 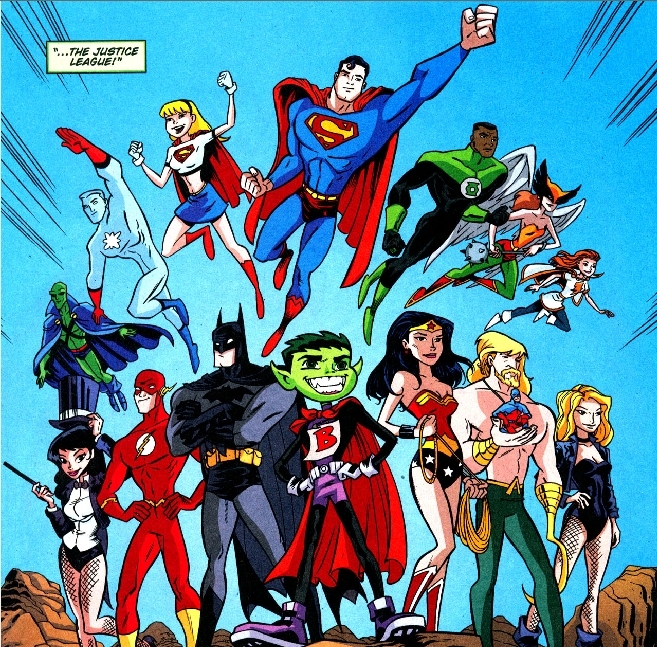 Superman, Batman, and Wonder Woman rescue Cap and the baby with the help of their future counterparts. 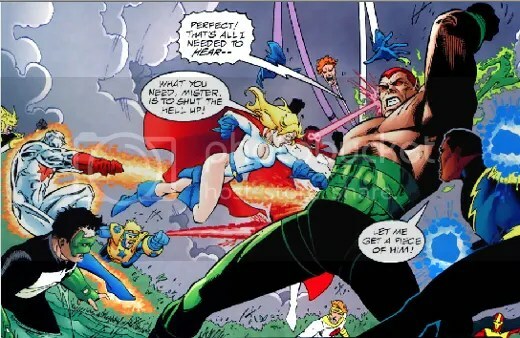 Captain Atom (and others) are called in to help defeat Amazo. 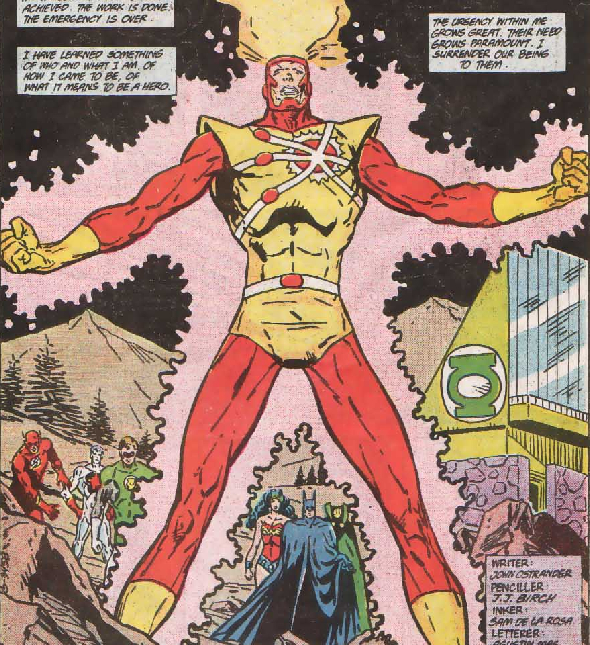 The Bronze Age Captain Atom is seen here as the events of Crisis on Infinite Earths are once again revisited. 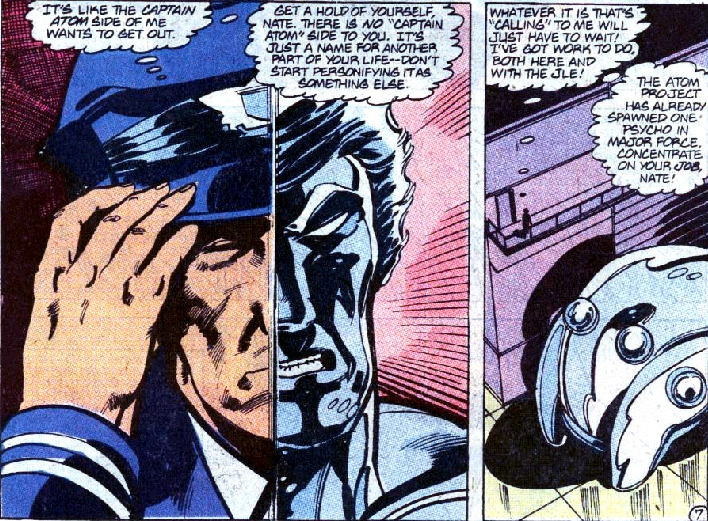 Captain Atom pitches in (back in his “original” Modern Age costume) but proves to be utterly useless. 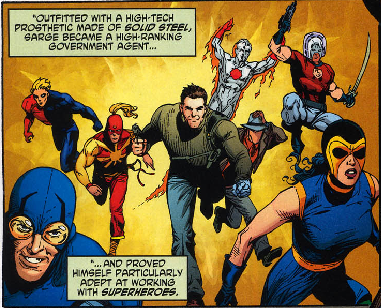 Can’t talk about war in the DCU without dropping Cap’s name. 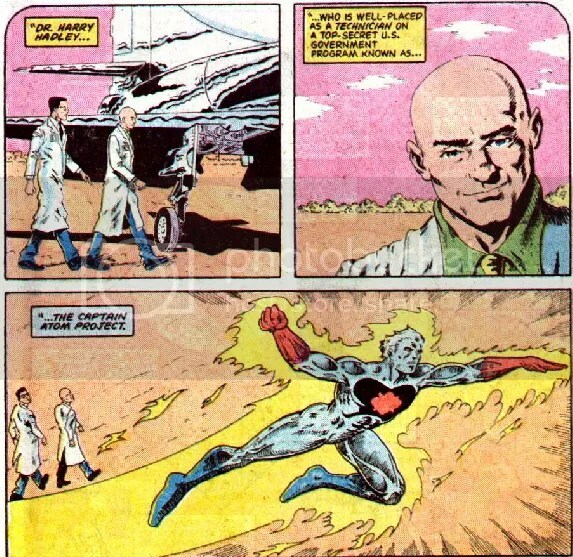 Captain Atom appears in this telling of the life of Brainwave, Jr.
Captain Atom is quantum-bumped into the future at the Rock of Eternity. 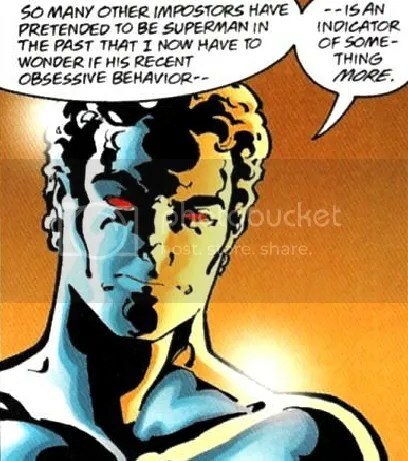 Captain Atom appears in a brief mention of Zero Hour. 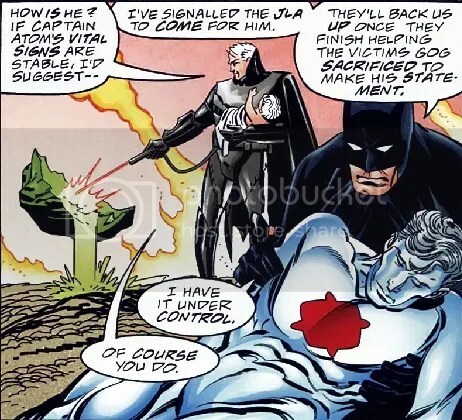 Captain Atom is still knocked out, still leaking radiation, and still being used. 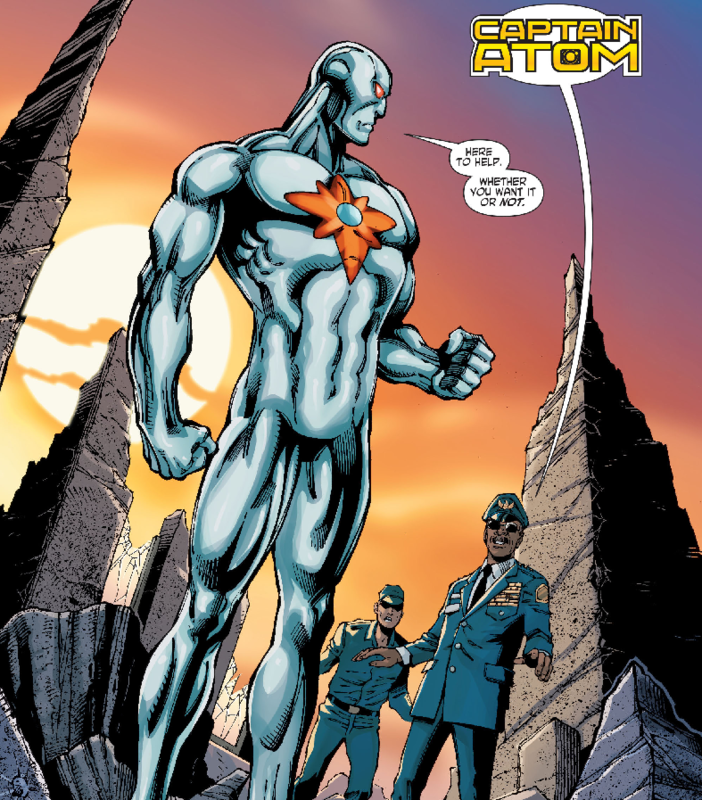 The Atomic Knights rescue Captain Atom. 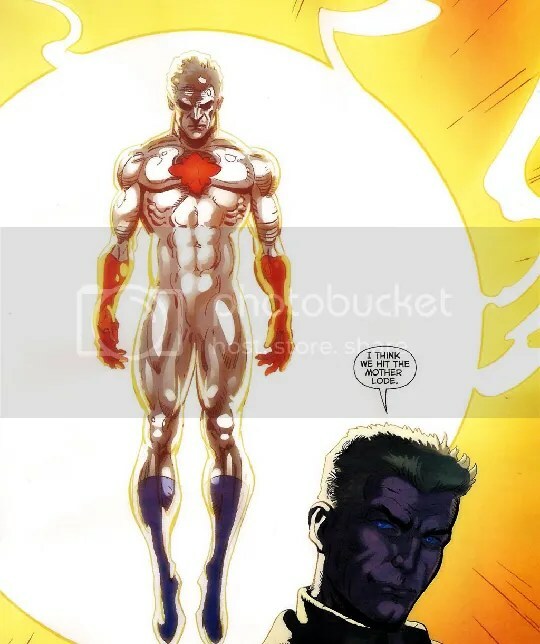 The Weird remembers his past. 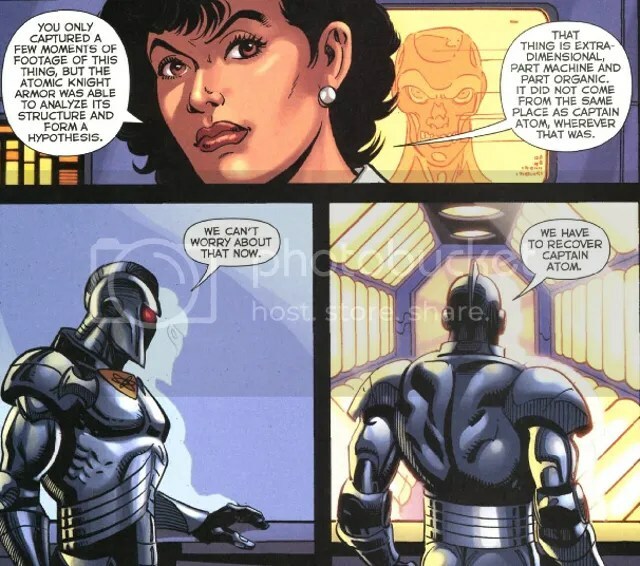 A bitter Dominator relives the failure of the Invasion. 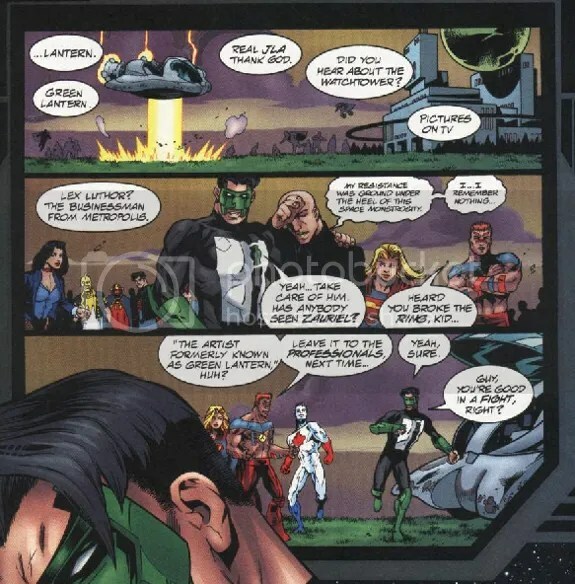 Cap appears in a panel when Beast Boy is talking about joining the Justice League. 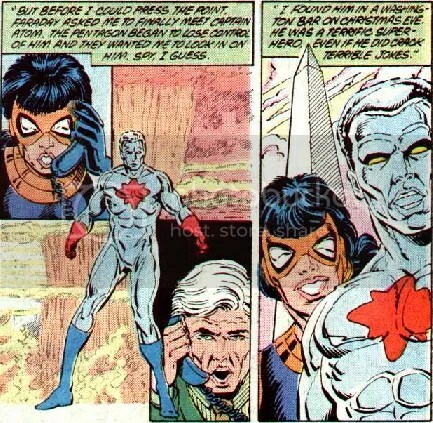 Cameo by Captain Atom and Firestorm. 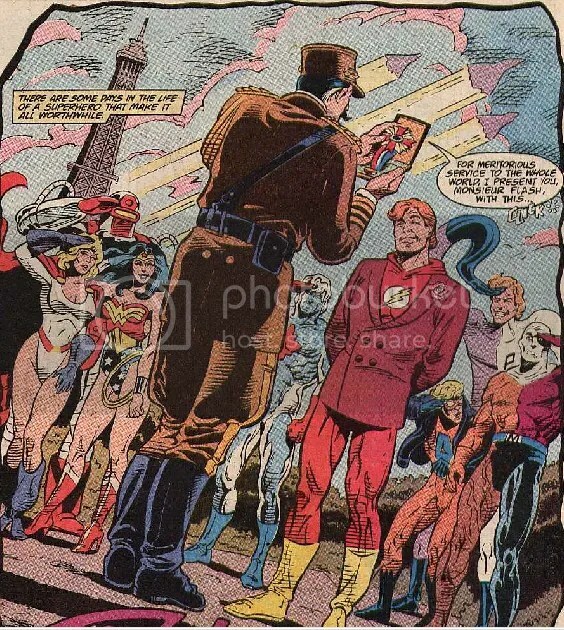 They’re talking about Sarge Steel and all his old Charlton Buddies show up for one panel. 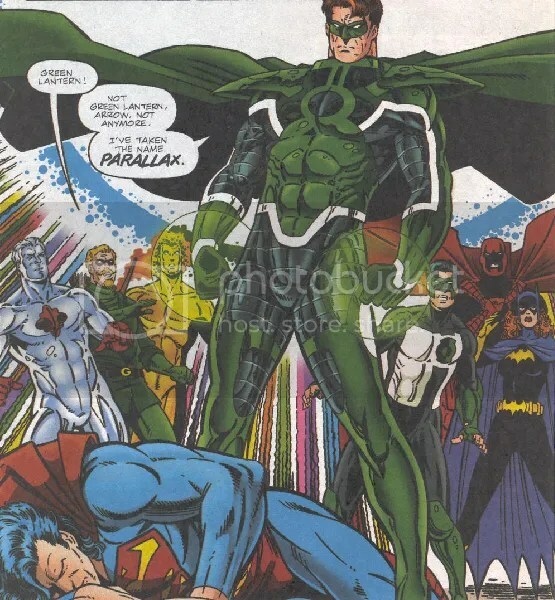 A strange visitor from another world calls on the JSA. 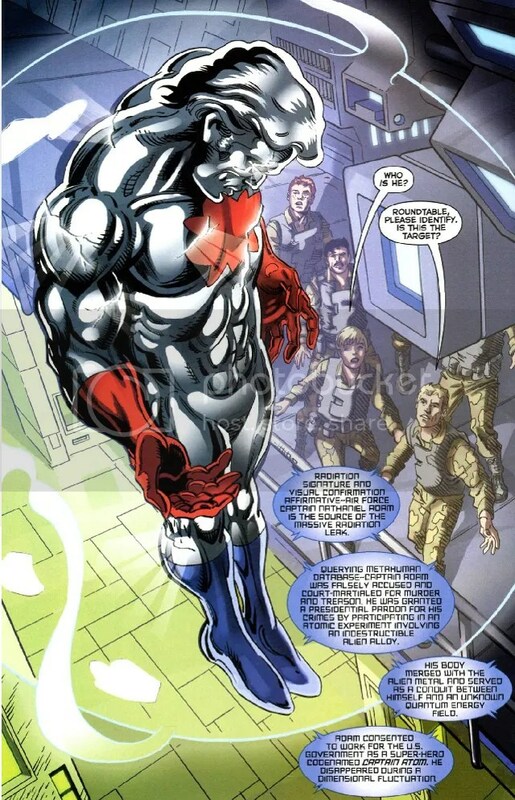 When describing his own world, we see the Earth-22 Captain Atom. 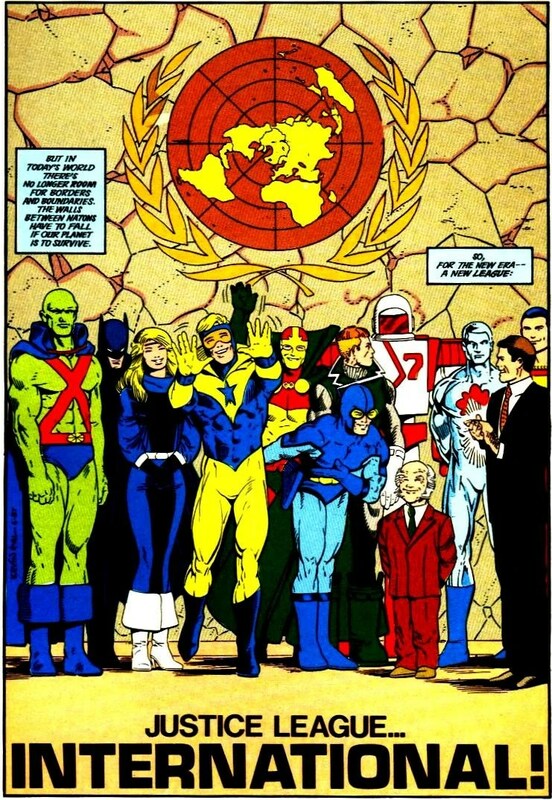 In a splash page where Starman is describing the multiverse, the silver age Captain Atom appears with the Question and Blue Beetle. 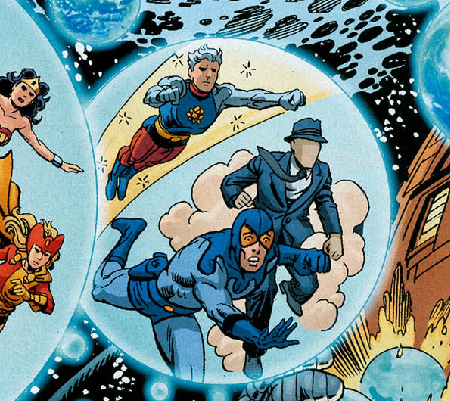 Once again, the silver age Captain Atom in the yellow costume is depicted on a splash page discussing the multiverse. 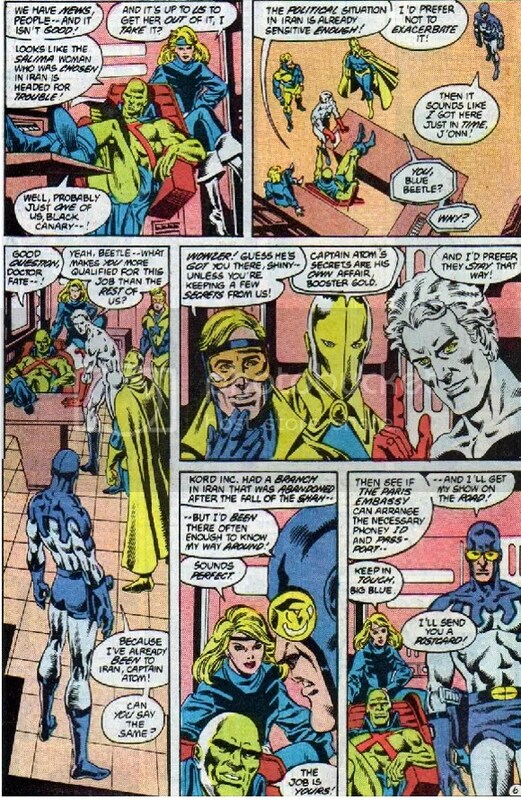 He is again featured with Blue Beetle, but also Peacemaker and Judo Master. 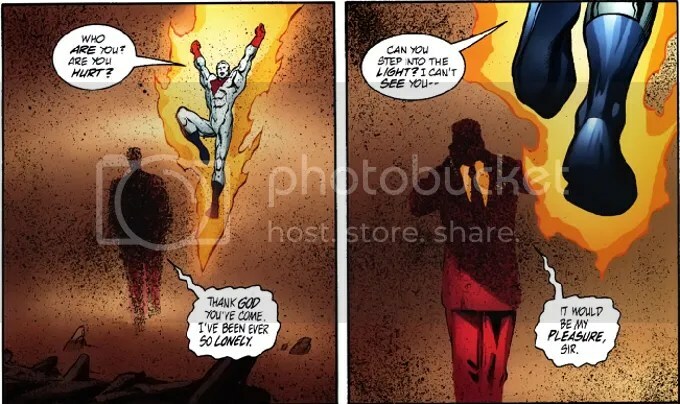 These two panels are the final appearance of the Modern Age Captain Atom until the 2015 Convergence series. 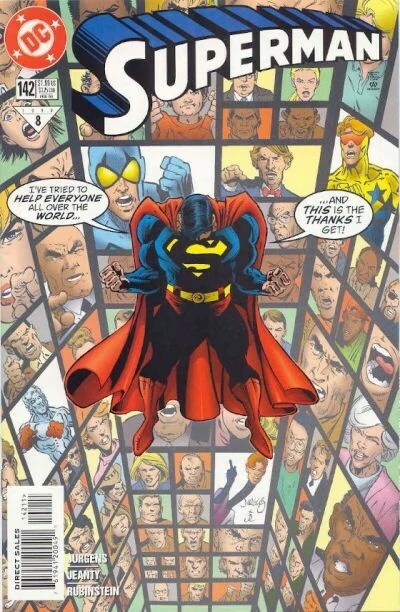 It had been twenty years since he had his own title. 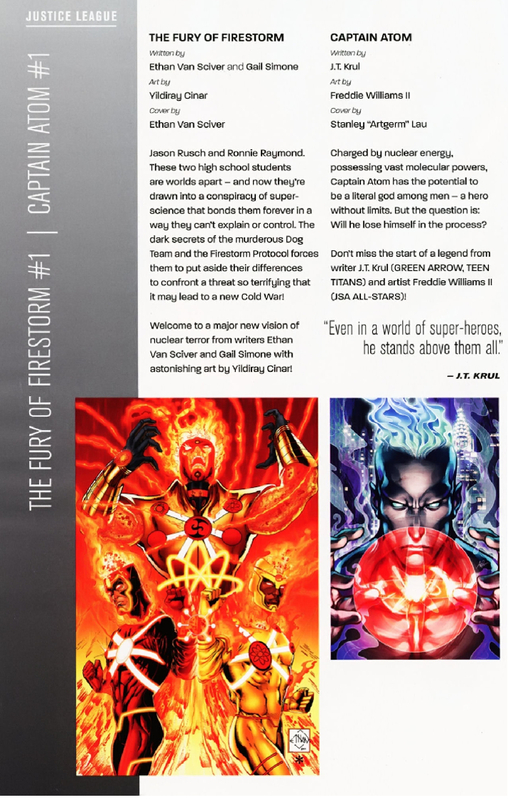 In this preview page for the upcoming New 52 titles, Captain Atom shares a page with Firestorm. 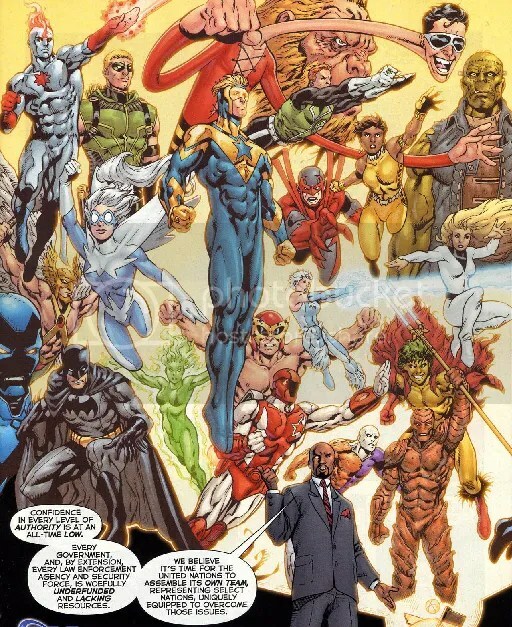 The New 52 Captain Atom appears on the first page even though he was never a member of any branch of the Justice League in this incarnation. 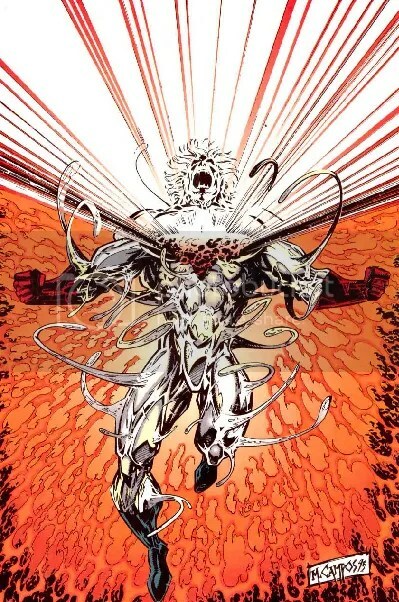 Captain Atom briefly shows up at the end of this issue, setting up The Fury of Firestorm: The Nuclear Man #15. 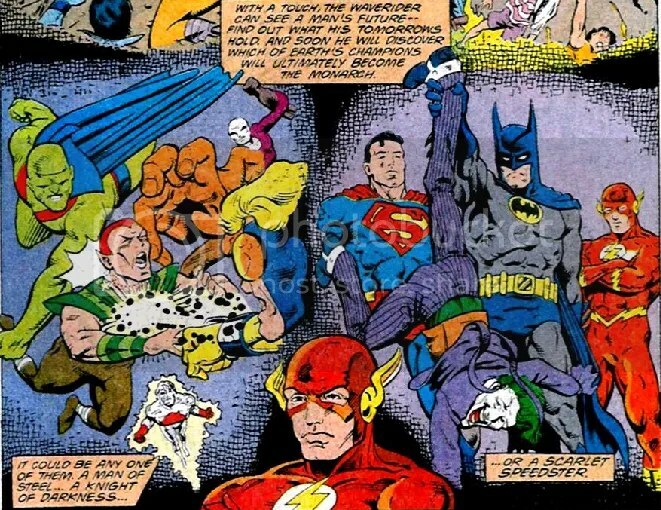 Hanging out in the Batcave with his pals. 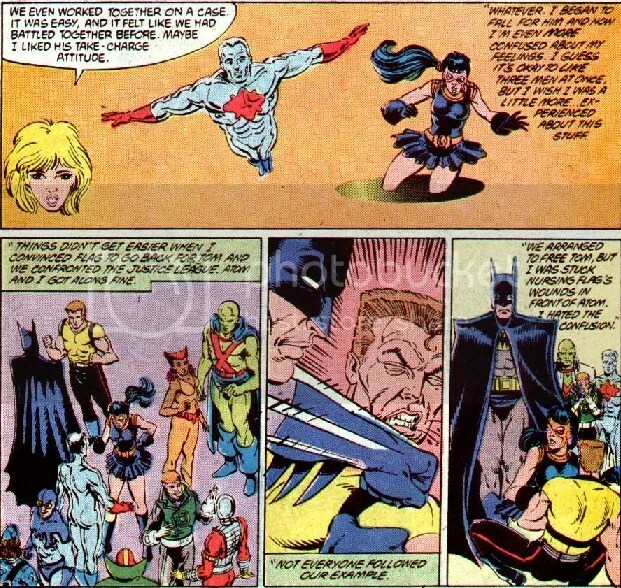 When Amanda Waller threatens to shake up the JLA roster, one of her go-to guys is Captain Atom (who is MIA in the DCU at this time). 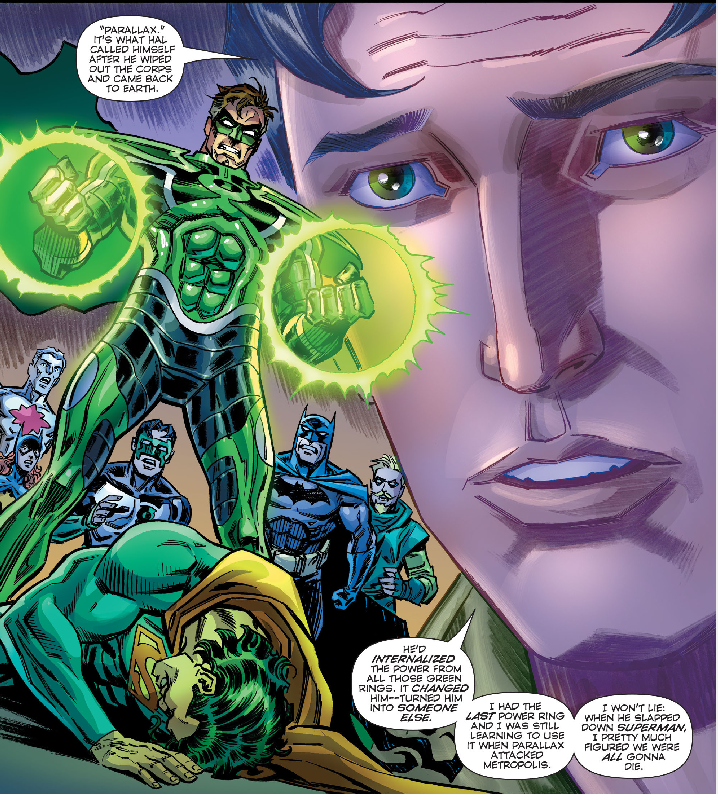 The Modern Age Captain Atom turns up again in Kyle Rayner’s memories of a Hal Jordan gone bad. 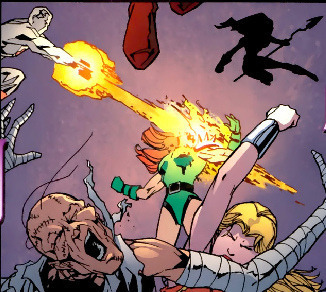 Monarch has a brief cameo. 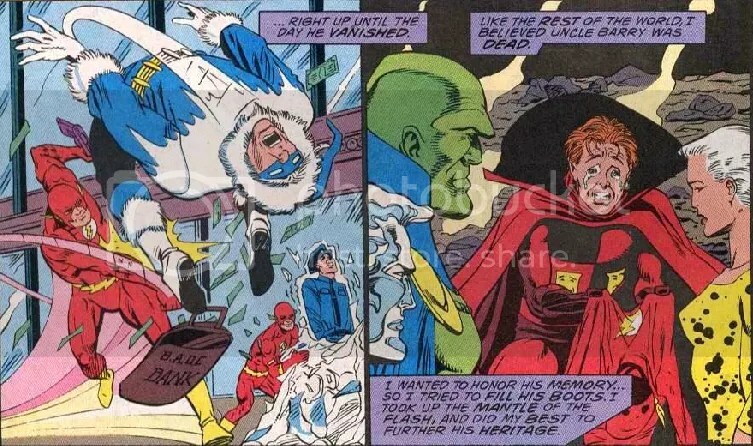 Whether this is Nathaniel Adam or Hank Hall is not clear.